A natural rubber wood city bus! Supplied with 5 peg people with a removable roof, this fair trade city bus is a great addition to any wooden toy collection. NEW for 2017, a rubber wood city bus! 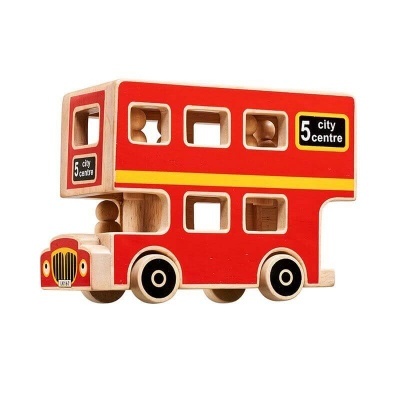 Supplied with 5 peg people with a removable roof, this fair trade city bus is a great addition to any wooden toy collection. Suitable from 10 months plus, this bus inspires hand eye coordination and shape recognition skills. Altogether now . . "The wheels on the bus go . . "